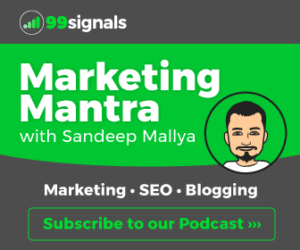 Email outreach is an important aspect of any marketing strategy. All of the following activities can benefit greatly with a good email outreach plan. But here’s the thing: All the aforementioned tasks are challenging. They involve countless amounts of research and time, not just to unearth the information you need, but to also arrive at an effective outreach template that’s going to accomplish the job at hand. If you’re not able to find the email address of the right person, or worse still, end up sending your email to invalid email addresses, all that time spent researching would be wasted. This is why you need a reliable email finder and validator tool by your side. One such tool is Snovio. In this review, we’ll take a quick look at Snovio’s key features, the various pricing plans, and examine other factors that may help you decide whether this is a Google Chrome extension you should use. Snovio is a Google Chrome extension which helps you find email addresses from LinkedIn profiles or websites. It also works as a standalone email address verifier, making your email contact list bounce-free. Using Snovio’s Google Chrome extension, you can find email addresses on LinkedIn, Twitter, Facebook, or any website you visit and send them an email from within the extension itself. Based on your current requirements, you can select any of the plans above. Since there is a free plan available, it’d be wise to sign up for that first and if you are happy with the results, you can upgrade to any of the paid plans. You can also opt for annual pricing on any of the above plans to get up to 10% discount on the final price. You can also get a higher discount (30% off on all plans) if you choose to subscribe via SNOV tokens, Snivio’s very own cryptocurrency. Domain Search: Snovio’s Domain Search tool helps you find all the email addresses from a specific domain. You can also use the bulk domain search option if you have many domains to search. Email Verifier: With Snovio’s Email Verifier, you can clean thousands of emails within minutes. No matter how huge your email address list is, we will validate it within a reasonable amount of time. 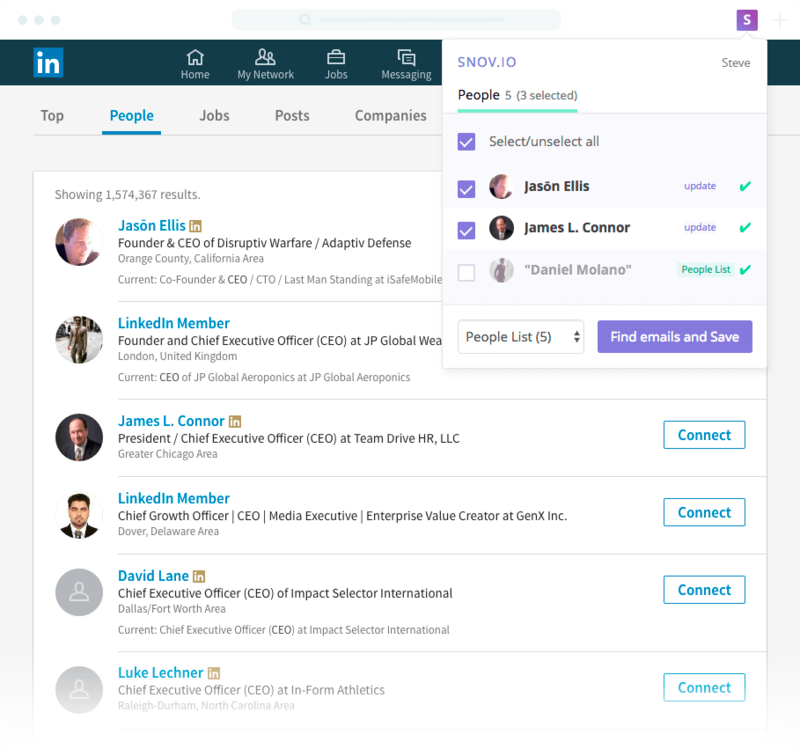 LinkedIn Email Search: Snovio’s Chrome extension lets you find email addresses by visiting LinkedIn profiles. You can either do a search on LinkedIn itself or use Snovio’s Prospect Search Tool to find just the profiles you’re seeking. Prospect Search: You can explore Snovio’s database to find prospects in no time. Company Search: If you know the city, industry and country, Snovio will help you find the company profile. With this, you can contact just the right person in the right department. Linker: Recruiters can use Snovio’s Linker tool to find prospective candidates. Just enter the job title, skills and locations to find links to places where you can find candidate profiles. Good software is always accompanied by exceptional support. Snovio takes care of this aspect particularly well. Snovio’s knowledge base contains answers to most of your questions regarding the Chrome extension. In addition to this, Snovio also provides customer support via live chat, email, and phone. 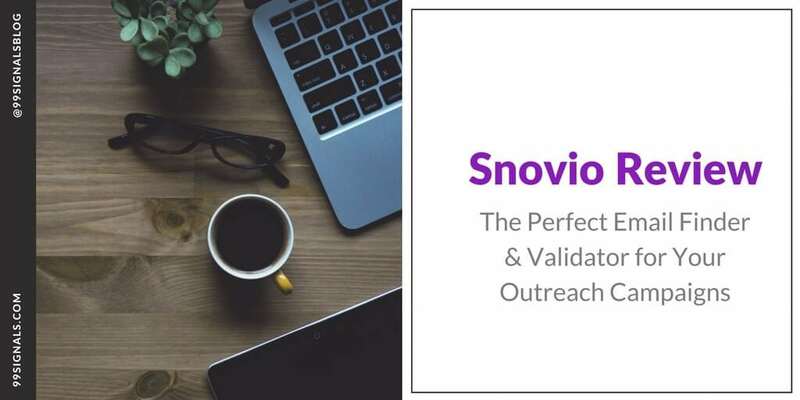 Snovio is an incredibly useful tool for lead generation and email outreach. It significantly reduces the time it takes to find relevant leads and streamlines the entire outreach process. All you have to do is download the Chrome extension and sign up for one of their plans. Since they have a forever free plan, there’s no reason not to give Snovio a try. 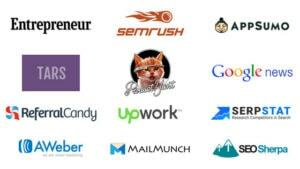 Snovio is an incredibly useful tool for lead generation and email outreach. It significantly reduces the time it takes to find relevant leads and streamlines the entire outreach process. All you have to do is download the Chrome extension and sign up for one of their plans. Since they have a forever free plan, there's no reason not to give Snovio a try. Being an active user for about 3 months. Like how they are working on adding new features! It’s freakishly awesome and reliable service with a decent variety of features and tools. 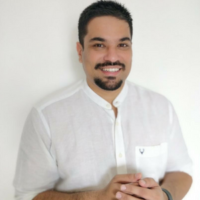 This completely saves my working life and makes it much easier as for me as for my sales team.